Pressure on young bees to grow up too fast could be a major factor in explaining the disastrous declines in bee populations seen worldwide. Researchers have tracked the activity of bees forced to begin foraging earlier in their lives due to stress on their colonies and found that they collect less pollen and die earlier, accelerating the decline and collapse of their hives. Colony Collapse Disorder (CCD) is a major threat to bee colonies around the world and affects their ability to perform vital human food crop pollination. It has been a cause of urgent concern for scientists and farmers around the world for at least a decade but a specific cause for the phenomenon has yet to be conclusively identified. 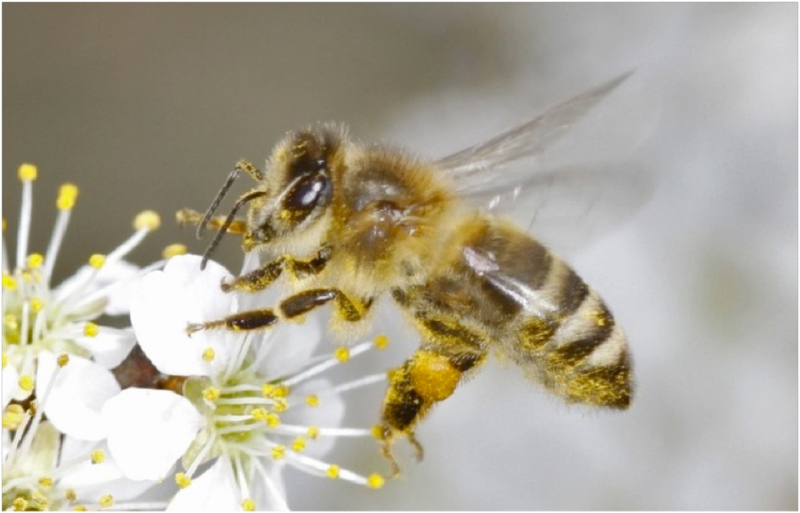 Bees usually begin foraging when they are 2-3 weeks old but when bee colonies are stressed by disease, a lack of food, or other factors that kill off older bees, the younger bees start foraging at a younger age. Researchers attached radio trackers to thousands of bees and tracked their movement throughout their lives. They found that bees that started foraging younger completed less foraging flights than others and were more likely to die on their first flights. The researchers, from Queen Mary University of London (QMUL), Macquarie University in Sydney, Washington University in St Louis, and University of Sydney, used this information to model the impact on honey bee colonies. They found that any stress leading to chronic forager death of the normally older bees led to an increasingly young foraging force. This younger foraging population lead to poorer performance and quicker deaths of foragers and dramatically accelerated the decline of the colony much like observations of CCD seen around the world. Dr Clint Perry from the School of Biological and Chemical Sciences at QMUL, said: “Young bees leaving the hive early is likely to be an adaptive behaviour to a reduction in the number of older foraging bees. But if the increased death rate continues for too long or the hive isn’t big enough to withstand it in the short term, this natural response could upset the societal balance of the colony and have catastrophic consequences.